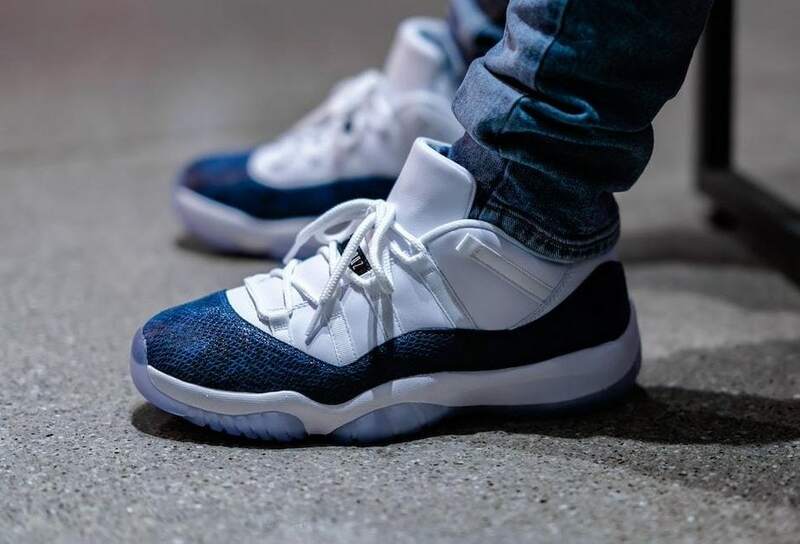 As snakeskin slithers its way in as a new trendy print this year, Jordan brand looks to re-release the Air Jordan 11 Low in the iconic “Blue Snakeskin” colorway. A resurgence of exotic prints have made their comeback recently as they have heavily influenced this years trendy fashion looks. 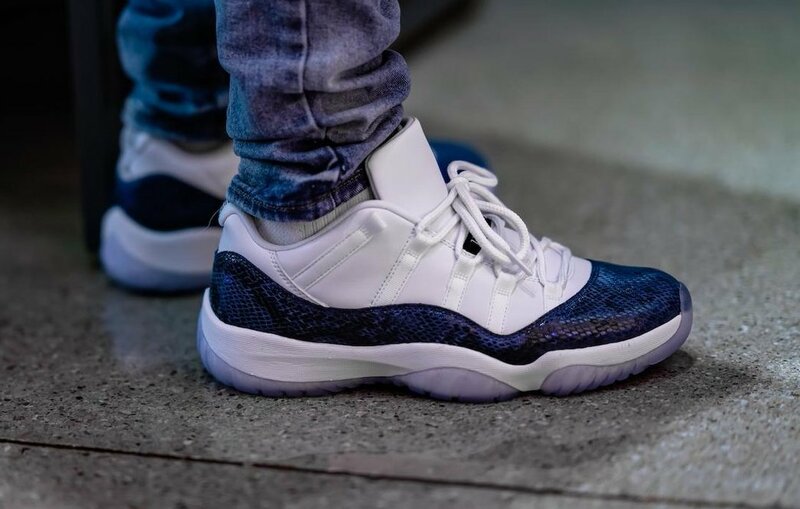 At a perfect time, Jordan brand looks to release new iterations of previous models that received the snakeskin treatment. 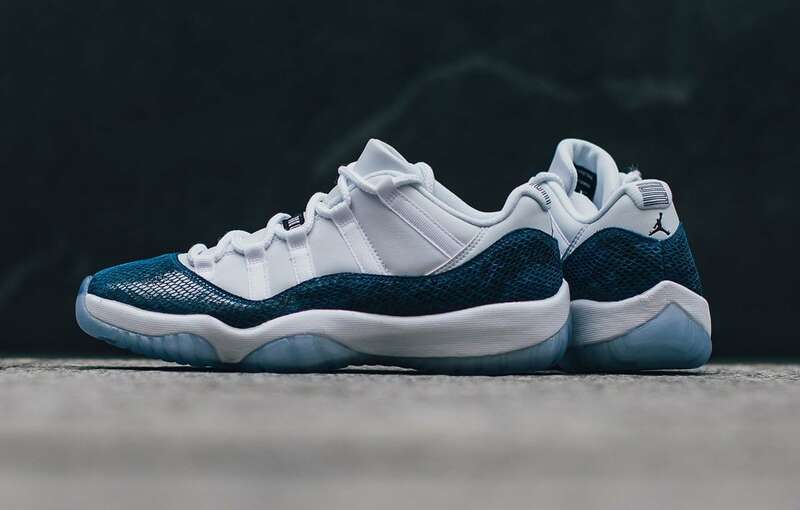 Just last month, a women’s exclusive Air Jordan 11 Low in the “Pink Snakeskin” colorway was announced which is an updated version of a 2013 release. 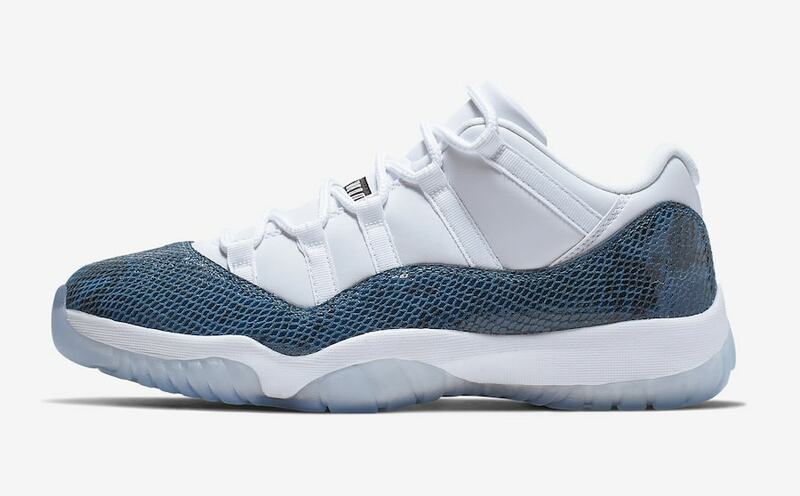 Now after 18 years, the “Blue Snakeskin” 11 is ready to come out of the vault just in time for spring. 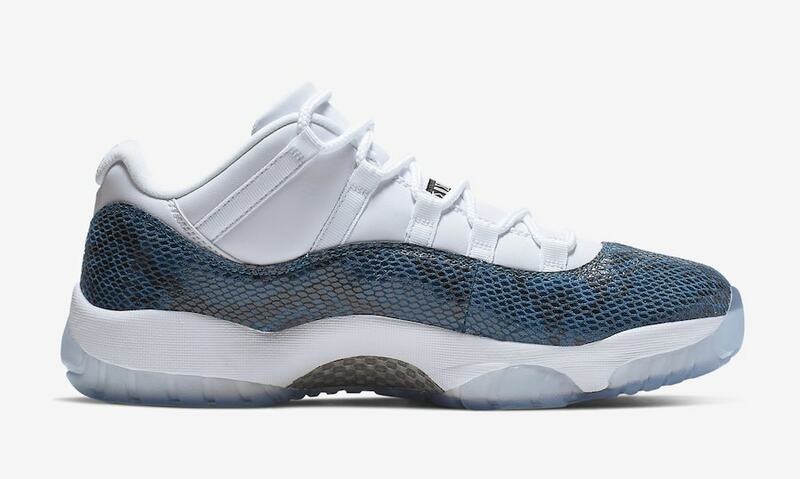 The shoe made it’s debut back in 2001 and was the first Air Jordan 11 that did not contain a patent leather upper. Now this year, it will gear up for a much needed re-release. The colorway consists of a fresh white leather that matches with the laces and midsole. 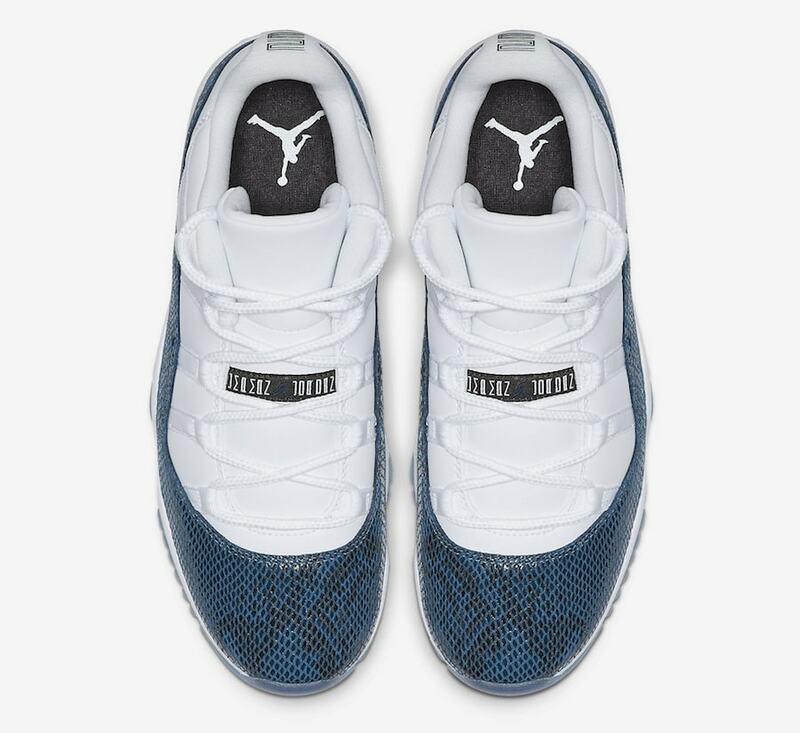 The reptile print is then seen on the mudguard that combines a blue and black snakeskin look. To top the shoe off, it sits on top of a icy translucent oustole that complements the shoe rather well. 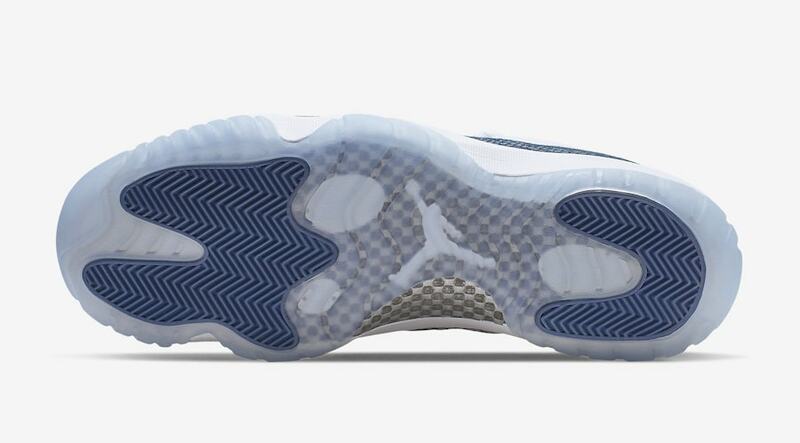 Finally, as always you can expect to see the iconic Jumpman logo embroidered in on each of the heels. 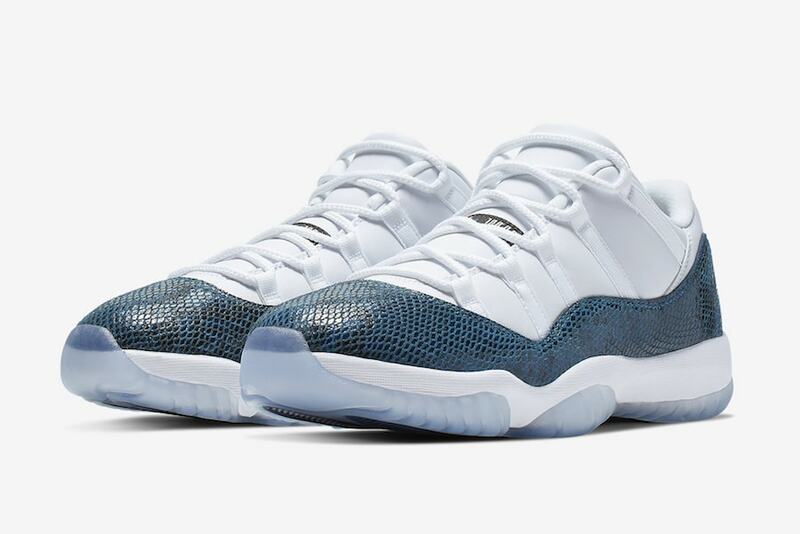 If you’re looking to pick up a pair of this iconic silhouette, they are set to release on April 19th, 2019 at Nike and select retailers like Dicks Sporting Goods for a retail price of $185. Whether you need an updated pair from your 01′ originals or looking for a great spring shoe, Jordan has you covered. 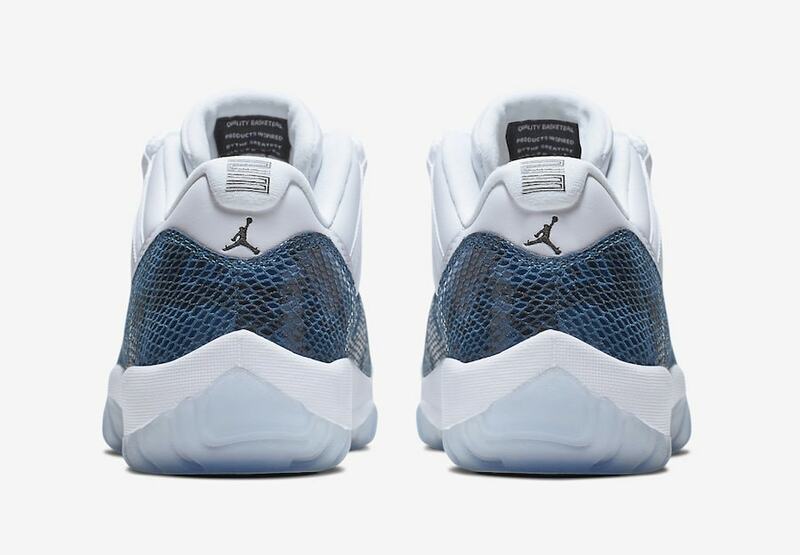 Check out more images below and as always stay tuned to JustFreshKicks for more Jordan news.